Knowledge of the Jewish calendar in use before the period of the Babylonian Exile is both limited and uncertain. The Bible refers to calendar matters only incidentally, and the dating of components of Mosaic Law remains doubtful. The earliest datable source for the Hebrew calendar is the Gezer Calendar, written probably in the age of Solomon, in the late 10th century BC. The inscription indicates the length of main agricultural tasks within the cycle of 12 lunations. The calendar term here is yereah, which in Hebrew denotes both "moon" and "month." The second Hebrew term for month, hodesh, properly means the "newness" of the lunar crescent. Thus, the Hebrew months were lunar. They are not named in pre-exilic sources except in the biblical report of the building of Solomon's Temple in I Kings, where the names of three months, two of them also attested in the Phoenician calendar, are given; the months are usually numbered rather than named. The "beginning of the months" was the month of the Passover. In some passages, the Passover month is that of hodesh ha-aviv, the lunation that coincides with the barley being in the ear. Thus, the Hebrew calendar is tied in with the course of the Sun, which determines ripening of the grain. It is not known how the lunar year of 354 days was adjusted to the solar year of 365 days. The Bible never mentions intercalation. The year shana, properly "change" (of seasons), was the agricultural and, thus, liturgical year. There is no reference to the New Year's day in the Bible. After the conquest of Jerusalem (587 BC), the Babylonians introduced their cyclic calendar (see above Babylonian calendars) and the reckoning of their regnal years from Nisanu 1, about the spring equinox. The Jews now had a finite calendar year with a New Year's day, and they adopted the Babylonian month names, which they continue to use. From 587 BC until AD 70, the Jewish civil year was Babylonian, except for the period of Alexander the Great and the Ptolemies (332-200 BC), when the Macedonian calendar was used. The situation after the destruction of the Temple in Jerusalem in AD 70 remains unclear. It is not known whether the Romans introduced their Julian calendar or the calendar that the Jews of Palestine used after AD 70 for their business transactions. There is no calendar reference in the New Testament; the contemporary Aramaic documents from Judaea are rare and prove only that the Jews dated events according to the years of the Roman emperors. The abundant data in the Talmudic sources concern only the religious calendar. In the religious calendar, the commencement of the month was determined by the observation of the crescent New Moon, and the date of the Passover was tied in with the ripening of barley. The actual witnessing of the New Moon and observing of the stand of crops in Judaea were required for the functioning of the religious calendar. The Jews of the Diaspora, or Dispersion, who generally used the civil calendar of their respective countries, were informed by messengers from Palestine about the coming festivals. This practice is already attested for 143 BC. After the destruction of the Temple in AD 70, rabbinic leaders took over from the priests the fixing of the religious calendar. Visual observation of the New Moon was supplemented and toward AD 200, in fact, supplanted by secret astronomical calculation. But the people of the Diaspora were often reluctant to wait for the arbitrary decision of the calendar makers in the Holy Land. Thus, in Syrian Antioch in AD 328-342, the Passover was always celebrated in (Julian) March, the month of the spring equinox, without regard to the Palestinian rules and rulings. To preserve the unity of Israel, the patriarch Hillel II, in 358/359, published the "secret" of calendar making, which essentially consisted of the use of the Babylonian 19-year cycle with some modifications required by the Jewish ritual. The application of these principles occasioned controversies as late as the 10th century AD. In the 8th century, the Karaites, following Muslim practice, returned to the actual observation of the crescent New Moon and of the stand of barley in Judaea. But some centuries later they also had to use a precalculated calendar. The Samaritans, likewise, used a computed calendar. Because of the importance of the Sabbath as a time divider, the seven-day week served as a time unit in Jewish worship and life. As long as the length of a year and of every month remained unpredictable, it was convenient to count weeks. The origin of the biblical septenary, or seven-day, week remains unknown; its days were counted from the Sabbath (Saturday for the Jews and Sunday for Christians). The Jewish calendar in use today is lunisolar, the years being solar and the months lunar, but it also allows for a week of seven days. Because the year exceeds 12 lunar months by about 11 days, a 13th month of 30 days is intercalated in the third, sixth, eighth, 11th, 14th, 17th, and 19th years of a 19-year cycle. For practical purposes--e.g., for reckoning the commencement of the Sabbath--the day begins at sunset; but the calendar day of 24 hours always begins at 6 PM. The hour is divided into 1,080 parts (halaqim; this division is originally Babylonian), each part (heleq) equaling 3 1/3 seconds. The heleq is further divided into 76 rega'im. The synodic month is the average interval between two mean conjunctions of the Sun and Moon, when these bodies are as near as possible in the sky, which is reckoned at 29 days 12 hours 44 minutes 3 1/3 seconds; a conjunction is called a molad. This is also a Babylonian value. In the calendar month, however, only complete days are reckoned, the "full" month containing 30 days and the "defective" month 29 days. The months Nisan, Sivan (Siwan), Av, Tishri, Shevat, and, in a leap year, First Adar are always full; Iyyar, Tammuz, Elul, Tevet, and Adar (known as Second Adar, or Adar Sheni, in a leap year) are always defective, while Heshvan (Heshwan) and Kislev (Kislew) vary. The calendar, thus, is schematic and independent of the true New Moon. The number of days in a year varies. The number of days in a synodic month multiplied by 12 in a common year and by 13 in a leap year would yield fractional figures. Hence, again reckoning complete days only, the common year has 353, 354, or 355 days and the leap year 383, 384, or 385 days. A year in which both Heshvan and Kislev are full, called complete (shelema), has 355 or (if a leap year) 385 days; a normal (sedura) year, in which Heshvan is defective and Kislev full, has 354 or 384 days; while a defective (hasera) year, in which both these months are defective, has 353 or 383 days. The character of a year (qevi'a, literally "fixing") is described by three letters of the Hebrew alphabet, the first and third giving, respectively, the days of the weeks on which the New Year occurs and Passover begins, while the second is the initial of the Hebrew word for defective, normal, or complete. There are 14 types of qevi'ot,seven in common and seven in leap years. The New Year begins on Tishri 1, which may be the day of the molad of Tishri but is often delayed by one or two days for various reasons. Thus, in order to prevent the Day of Atonement (Tishri 10) from falling on a Friday or a Sunday and the seventh day of Tabernacles (Tishri 21) from falling on a Saturday, the New Year must avoid commencing on Sundays, Wednesdays, or Fridays. Again, if the molad of Tishri occurs at noon or later, the New Year is delayed by one or, if this would cause it to fall as above, two days. These delays (dehiyyot) necessitate, by reason of the above-mentioned limits on the number of days in the year, two other delays. The mean beginning of the four seasons is called tequfa (literally "orbit," or "course"); the tequfa of Nisan denotes the mean Sun at the vernal equinox, that of Tammuz at the summer solstice, that of Tishri at the autumnal equinox, and that of Tevet at the winter solstice. As 52 weeks are the equivalent to 364 days, and the length of the solar year is nearly 365 1/4 days, the tequfot move forward in the week by about 1 1/4 days each year. Accordingly, reckoning the length of the year at the approximate value of 365 1/4 days, they are held to revert after 28 years (28 1 1/4 = 35 days) to the same hour on the same day of the week (Tuesday, 6 PM) as at the beginning. This cycle is called the great, or solar, cycle (mahzor gadol or hamma). The present Jewish calendar is mainly based on the more accurate value 365 days, 5 hours, 55 minutes, 25 25/57 seconds--in excess of the true tropical year by about 6 minutes 40 seconds. Thus, it is advanced by one day in about 228 years with regard to the equinox. To a far greater extent than the solar cycle of 28 years, the Jewish calendar employs, as mentioned above, a small, or lunar, cycle (mahzor qatan) of 19 years, adjusting the lunar months to the solar years by intercalations. Passover, on Nisan 14, is not to begin before the spring tequfa, and so the intercalary month is added after Adar. The mahzor qatan is akin to the Metonic cycle described above. The Jewish Era in use today is that dated from the supposed year of the Creation (designated anno mundi or AM) with its epoch, or beginning, in 3761 BC. For example, the Jewish year 5745 AM, the 7th in the 303rd lunar cycle and the 5th in the 206th solar cycle, is a regular year of 12 months, or 354 days. The qevi'ais, using the three respective letters of the Hebrew alphabet as two numerals and an initial in the manner indicated above, HKZ, which indicates that Rosh Hashana (New Year) begins on the fifth (H = 5) and Passover on the seventh (Z = 7) day of the week and that the year is regular (K = ke-sidra); i.e., Heshvan is defective--29 days, and Kislev full--30 days. The Jewish year 5745 AM corresponds with the Christian Era period that began September 27, 1984, and ended September 15, 1985. Neglecting the thousands, current Jewish years AM are converted into years of the current Christian Era by adding 239 or 240--239 from the Jewish New Year (about September) to December 31 and 240 from January 1 to the eve of the Jewish New Year. The adjustment differs slightly for the conversion of dates of now-antiquated versions of the Jewish Era of the Creation and the Christian Era, or both. Tables for the exact conversion of such dates are available. The Hebrew calendar or Jewish calendar is the annual calendar used in Judaism. It determines the dates of the Jewish holidays, the appropriate Torah portions for public reading, Yahrzeits (the date to commemorate the death of a relative), and the specific daily Psalms which some customarily read. Two major forms of the calendar have been used: an observational form used prior to the destruction of the Second Temple in 70 CE, and based on witnesses observing the phase of the moon, and a rule-based form first fully described by Maimonides in 1178 CE, which was adopted over a transition period between 70 and 1178. Jews have been using a lunisolar calendar since Biblical times. The first commandment the Jewish People received as a nation was the commandment to determine the New Moon. The beginning of Exodus Chapter 12 says "This month (Nissan) is for you the first of months.". The months were originally referred to in the Bible by number rather than name. Only four pre-exilic month names appear in the Tanakh (the Hebrew Bible): Aviv (first; literally "Spring", but originally probably meant the ripening of barley), Ziv (second; literally "Light"), Ethanim (seventh; literally "Strong" in plural, perhaps referring to strong rains), and Bul (eighth), and all are Canaanite names, and at least two are Phoenician (Northern Canaanite). It is possible that all of the months were initially identifiable by native Jewish numbers or foreign Canaanite/Phoenician names, but other names do not appear in the Bible. Furthermore, because solar years cannot be divided evenly into lunar months, an extra "embolismic" month must be added to prevent the starting date of the lunar cycles from "drifting" away from the Spring, although there is no direct mention of this in the Bible. There are hints, however, that the first month (today's Nissan) had always started only following the ripening of barley; according to some traditions, in case the barley had not ripened yet, a second last month would have been added. Only much later a systematic method for adding a second last month (Today's Adar) had been adopted. During the Babylonian exile, immediately after 586 BCE, Jews adopted Babylonian names for the months, and some sects, such as the Essenes, used a solar calendar during the last two centuries BCE. The Babylonian calendar was the direct descendant of the Sumerian calendar. During leap years Adar I (or Adar Aleph - "first Adar") is considered to be the extra month, and has 30 days. Adar II (or Adar Bet - "second Adar") is the "real" Adar, and has 29 days as usual. For example, in a leap year, the holiday of Purim is in Adar II, not Adar I. In Second Temple times, the beginning of each lunar month was decided by two eyewitnesses testifying to having seen the new crescent moon. Patriarch Gamaliel II (c. 100) compared these accounts to drawings of the lunar phases. According to tradition, these observations were compared against calculations made by the main Jewish court, the Sanhedrin. Whether or not an embolismic month (a second Adar) was needed depended on the condition of roads used by families to come to Jerusalem for Passover, on an adequate number of lambs which were to be sacrificed at the Temple, and on the earing of barley needed for first fruits. Once decided, the beginning of each Hebrew month was first announced to other communities by signal fires lit on mountaintops, but after the Samaritans and Boethusaeans began to light false fires, a shaliach was sent. The inability of the shaliach to reach communities outside Israel within one day, led outlying communities to celebrate scriptural festivals for two days rather than for one, observing the second feast-day of the Jewish diaspora because of uncertainty of whether the previous month was 29 or 30 days. From the times of the Amoraim (third to fifth centuries), calculations were increasingly used, for example by Samuel the astronomer, who stated during the first half of the third century that the year contained 365 � days, and by "calculators of the calendar" circa 300. Jose, an Amora who lived during the second half of the fourth century, stated that the feast of Purim, 14 Adar, could not fall on a Sabbath nor a Monday, lest 10 Tishri (Yom Kippur) fall on a Friday or a Sunday. This indicates a fixed number of days in all months from Adar to Elul, also implying that the extra month was already a second Adar added before the regular Adar. The Jewish-Roman wars of 66-73, 115-117, and 132-135 caused major disruptions in Jewish life, also disrupting the calendar. 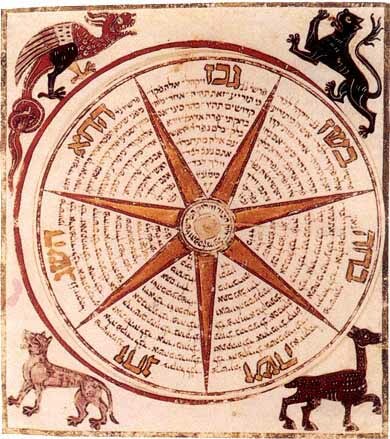 During the third and fourth centuries, Christian sources describe the use of eight, nineteen, and 84 year lunisolar cycles by Jews, all linked to the civil calendars used by various communities of Diaspora Jews, which were effectively isolated from Levant Jews and their calendar. Some assigned major Jewish festivals to fixed solar calendar dates, whereas others used epacts to specify how many days before major civil solar dates Jewish lunar months were to begin. The Ethiopic Christian computus (used to calculate Easter) describes in detail a Jewish calendar which must have been used by Alexandrian Jews near the end of the third century. These Jews formed a relatively new community in the aftermath of the annihilation (by murder or enslavement) of all Alexandrian Jews by Emperor Trajan at the end of the 115-117 Kitos War. Their calendar used the same epacts in nineteen year cycles that were to become canonical in the Easter computus used by almost all medieval Christians, both those in the Latin West and the Hellenist East. Only those churches beyond the eastern border of the Byzantine Empire differed, changing one epact every nineteen years, causing four Easters every 532 years to differ. The period between 70 and 1178 was a transition period between the two forms, with the gradual adoption of more and more of the rules characteristic of the modern form. Except for the modern year number, the modern rules reached their final form before 820 or 921, with some uncertainty regarding when. The modern Hebrew calendar cannot be used to calculate Biblical dates because new moon dates may be in error by up to four days, and months may be in error by up to four months. The latter accounts for the irregular intercalation (adding of extra months) that was performed in three successive years in the early second century, according to the Talmud. A popular tradition, first mentioned by Hai Gaon (d.1038), holds that the modern continuous calendar was formerly a secret known only to a council of sages or "calendar committee," and that Patriarch Hillel II revealed it in 359 due to Christian persecution. However, the Talmud, which did not reach its final form until c. 500, does not mention the continuous calendar or even anything as mundane as either the nineteen-year cycle or the length of any month, despite discussing the characteristics of earlier calendars. Furthermore, Jewish dates during post-Talmudic times (specifically in 506 and 776) are impossible using modern rules, and all evidence points to the development of the arithmetic rules of the modern calendar in Babylonia during the times of the Geonim (seventh to eighth centuries), with most of the modern rules in place by about 820, according to the Muslim astronomer Muhammad ibn Musa al-kwarizmi. One notable difference was the date of the epoch (the fixed reference point at the beginning of year 1), which at that time was identified as one year later than the epoch of the modern calendar. The Babylonian rules required the delay of the first day of Tishri when the new moon occurred after noon. In 921, Aaron ben Meir, a person otherwise unknown, sought to return the authority for the calendar to the Land of Israel by asserting that the first day of Tishri should be the day of the new moon unless the new moon occurred more than 642 parts after noon, when it should be delayed by one or two days. He may have been asserting that the calendar should be run according to Jerusalem time, not Babylonian. Local time on the Babylonian meridian is 642 parts later than on the meridian of Jerusalem. An alternative explanation for the 642 parts is that if Creation occurred in the Autumn, to coincide with the observance of Rosh Hashana (which marks the changing of the calendar year), the calculated time of New Moon during the six days of creation was on Friday at 14 hours exactly (counting from the day starting at 6pm the previous evening). However, if Creation actually occurred six months earlier, in the Spring, the new moon would have occurred at 9 hours and 642 parts on Wednesday. Ben Meir may thus have believed, along with many earlier Jewish scholars, that creation occurred in Spring and the calendar rules had been adjusted by 642 parts to fit in with an Autumn date. In any event he was opposed by Saadiah Gaon. Only a few Jewish communities accepted ben Meir's opinion, and even these soon rejected it. Accounts of the controversy show that all of the rules of the modern calendar (except for the epoch) were in place before 921. In 1000, the Muslim chronologist al-Biruni also described all of the modern rules except that he specified three different epochs used by various Jewish communities being one, two, or three years later than the modern epoch. Finally, in 1178 Maimonides described all of the modern rules, including the modern epochal year. According to the Mishnah, there are four new years, in Nisan for civil purposes, Elul for certain matters connected with agriculture and the Temple, Tishri for religious purposes and Shevat for trees. The last of these is marked by a minor festival, Tu Bishvat, named after the day it occurs on, the 15th Shevat. Months are numbered from Nisan (reflecting the injunction in Exodus "This month shall be to you the beginning of months". However, the New Year is the first of Tishri, when the year number increases by 1 and the formal new year festival Rosh Hashana is celebrated. There may be an echo here of a controversy in the Talmud about whether the world was created in Tishri or Nisan; it was decided that the answer is Tishri.